With an altitude of 10,200 feet from sea level, we think we may have built the highest skate park in the world!!! At 22,334 square feet, it is currently the third largest in Colorado. 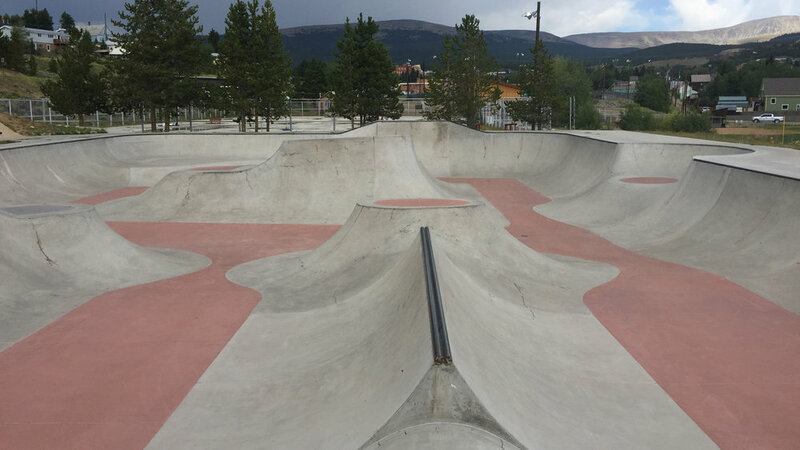 A combination of flow and street included in this design gives Leadville a skate park to handle any skill and style of skater that wants to enjoy this world class skate park. With splashes of color concrete used throughout, it's pleasing to the eye and fun, fun, FUN! Two large cantilever banks mimic the Rockies that surround this high octane skate park. Built with growing the sport in mind, Leadville is getting rave reviews for the final product and has become a favorite since the day we finished.